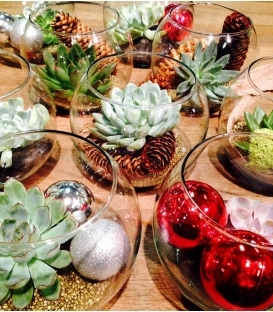 CHRISTMAS composition with 3 vases N26 3 vases approximately 6''X6'' each housing an echeveria succulent plant. Specially decorated for the Holidays with ornaments and pine cones. Ideal as a centerpiece trio and gift. Spread the cheer! 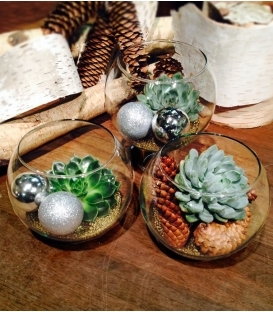 CHRISTMAS COMPOSITION WITH 2 VASES N27 2 vases approximately 6''X6'' each housing an echeveria succulent plant. 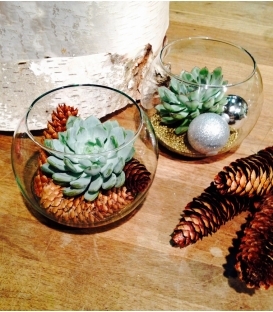 Specially decorated for the Holidays with ornaments and pine cones. Ideal as a centerpiece trio and gift. Spread the cheer! 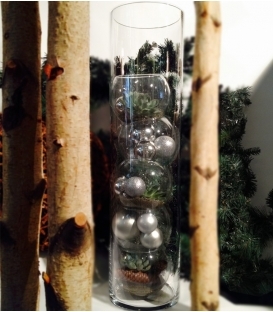 CHRISTMAS COMPOSITION IN A TALL VASE N29 5 vases approximately 6''X6'' each housing an echeveria succulent plant installed in a tall vase 36'' Specially decorated for the Holidays with ornaments and pine cones. 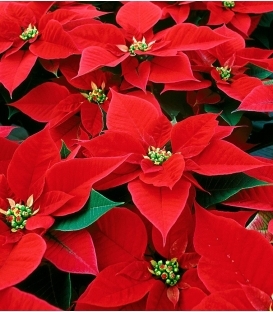 Ideal for a shop, office counter Spread the cheer! 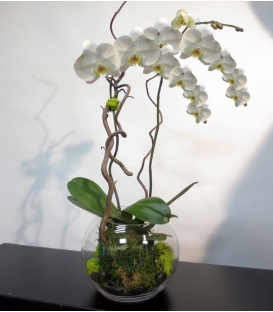 Orchid ‘’Signature’’ Magnificent arrangement with multiple phalaenopsis orchids in full blooming stylised with seasonal branches. color of orchids and vase may be differents. 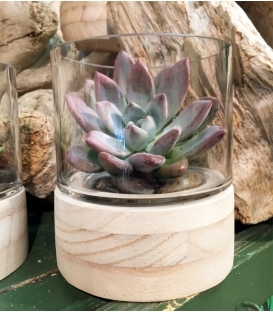 ECHEVERIA PLANT SUCCULENT Succulents are fleshy plants, capable of storing some water in leaves, stems or roots. This allows them to survive in dry environment. You can offer them solo, in duo or in trio. We can also pack them individually for distinctive presents. vase around 4''Please follow the advice of watering.